Summarizing what we have explored so far with this sequence of weekly Life Mapping topics and tools, if you have been participating with the weekly tools you have so far reviewed your Origin Story, engaged in a Vision Quest, and you have had opportunities to identify and reflect about your current Life Metaphor, your Shaping Events, yourTurning Points, and your recurring Life Themes. All of the insights you have gained from these reflections have laid the grounds for you to discover, this week, the distinct Life Chapters of your Life Story, to Now. Our lives are of the same stuff that Myths are made of or, as I prefer to say, Myths are made up from the stuff of our lives. That means that you are the central protagonist of your own “life narrative”; each of us is unfolding according to our own dramatic Life Story. To identify the contours of your Life Chapters, I invite you to first simply list very brief descriptions of your Turning Points chronologically across a page (be sure to use a big enough page to represent these in one visible sequence). Place below each Turning Point representation the age you were when each of these Turning Point events occurred. Creatively, you could use computer clip-art or images cut out from a magazine to represent your Turning Points sequentially across a page, then place your Age at that event below or beside each image. Next, simply use a ruler or a sheet of paper to draw vertical, solid or dashed lines right beside or through each Turning Point, from near the top of your page to the bottom. Now then, I invite you to reflect upon the periods of your life experience that have occurred BETWEEN each of your major Turning Points. From Birth to your first Turning Point experience, for example, what was your life about? Think of yourself as the Author–as you are!–and of this series of events as your Storyline. Be creative and assign CHAPTER TITLES to each of these time frames occurring BETWEEN your Turning Points. Then you can simply create a new mapping that keeps the age demarcations shown on your Turning Points map, but this time place the LIFE CHAPTER titles between each of the Turning Point boundary lines. Of course, please be open and flexible to use your own creativity in designing how you might best represent or depict your Life Chapters. Maybe you prefer a pie-chart, or a Spiral, or a pictorial collage of your own design. This is YOUR composition, so feel free to modify and to elaborate in a way that is meaningful to you! 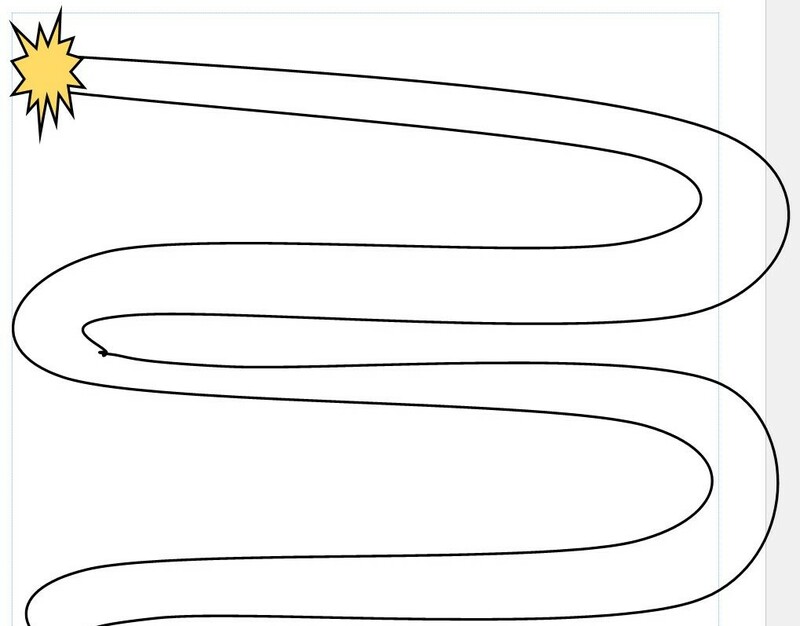 Your Twists and Turns…What’s Around the Bend? Turning and turning in the widening gyre… so begins Yeats’ famous poem of “The Second Coming”. As historical epochs shift and turn (Yeats’s poem bespeaks our post-modern reality as an antichrist, chaotic sort of epoch), so do the cycles of our own lives twist and turn. Yeats once also said he could imagine “the universe as an egg, turning itself inside-out without breaking its shell” (in A Vision). He was referring to the idea of a DIALECTICAL view of life: one that observes a dynamic tension of opposite experiences or viewpoints. We need the Darkness to appreciate Light; we appreciate love and all we have gained in life by contrast with what we have lost or Joy is contrasted with our times of loneliness or sorrow or despair. When we experience whole “life chapters” that seem to illuminate or magnify particular states or conditions, these then might come to exist in our memory in relation to happier, or less happy, chapters. Next week I will offer you a technique for identifying your life chapters. This week we are moving in that direction by considering your Turning Points. These are the pivots from one sort of life condition or experience to another; events that mark the boundaries between who you were before and after each one of these events occurred. It can be helpful to review your own Turning Points to understand better how you have managed or dealt with the major transitions in your life up to Now. Especially, you may wish to pay attention to your most positive Turning Points. How have those come about? Was there a choice involved and, if so, how did you approach and make your decision? Ultimately life mapping is not merely about reviewing the past, except in so much as this can help you to better prepare for or to create your own “better endings.” The general credo for the Life Maps Process which I will be sharing with the public in Life Paths, is: “Live Your Dream, Now!” Wherever you are Now is based on how you have come to be Here. Where you will arrive tomorrow will be based on how you DECIDE in the Present to aim toward and to model (or, re-model) your Life Dream. I share this today because my recent travel experience has led me to approach a major set of future transitions or Turning Points in my own life. I like to practice what I teach about, and I have been using life mapping skills a lot this last two weeks to envision “alternate future-scapes”—what I like to call future-casting. I am envisioning the completion of Life Paths and its release, but I am also envisioning my upcoming retirement in 2 ½ years, as a graduation from Academia and as a meaningful shift into a new set of chapters of my own Life Story. I now have a fairly good idea of where I will retire and I have visited the location to begin planning in that direction. So I invite you to review your past Turning Points with an eye to ENVISIONING your NEXT Turning Point as a very conscious shift into your own ‘better endings’, whatever that means for you, as of Now. Don’t worry about “setting things into stone”; that will not happen. You will remain open and flexible, but this process can help you to begin the process of Manifestation that can bring your Dream into Reality. So, Where are you headed generally in the Present based on where you have been and how you got Here? You are free to Envision—at any time—your next best Turning Point in advance of its occurrence. We are gifted with the faculties of active imagination and creative visualization. I invite you to simply practice and hone these faculties, for the highest good of all concerned! Better Endings to YOU! And thanks for reading! I truly, deeply welcome your insights from applying this life mapping tool. Today I am opening a new weekly post day; on Thursdays I will post “Tips and Stories”. These will be either stories people have sent to me about applying life mapping tools from this blog site (see weekly right panels) to their own live and the insights they gain from this, or reblogged posts from other life path affirming stories or tips from other blog sites. Today opens the genre with Mandi’s artistic representation of her Life Themes and reflections about her Turning Points and the life lessons they have woven into the fabric of her life experience. Mandi is the talented and inspiring author of CagedNoMore, a site I link to and highly recommend following! Using the Life Theme Illustration that I created (inspired by the exercise given at Better Endings for LIFE PATHS by my friend Linda), I have identified actual turning points to all of these major themes of my life which are represented in their own portion of this illustration. That sad little girl with the glasses displaying the artwork that she created, with clouds and lightning hovering over her… -This is symbolic of the bulk of my childhood. As an asthmatic, I was unable to play and exert myself with my friends outside. I had really bad allergies and asthma attacks. I also set out with a very low self esteem, as I was a chubby little one (because of Asthma meds), and very few children had glasses in my class. Being made fun of by classmates and an elderly neighbor that is not mentioned, this imprint was created. My self concept (in psychology: the mental image one has of oneself ) was developing, and it had all come down to this. I knew I was different. I was fat and not pretty. All of the nice pictures I could ever make would never change it. So…The turning point here was HUGE. The Treble Clef that represents my musical experiences growing up was made in red because music was a fire, a passion that flowed through my veins. This passion was an outlet. Though I played clarinet, when I played I did so with as much soul as I could belting out any show tune with a diva-like voice. In high school I earned first chair (for you non musician cats out there, that means I was considered the best or the section leader). Music opened a huge door in my life. This whole band thing led me to auditioning for leader of the high school marching band my second year of high school! I made the cut, held the spot as drum major/field commander of the high school marching band for the rest of my high school career/3 years! I had no clue I could be a leader. At this point, that little girl who saw herself as fat and worthless looked around only to find others staring up at her in awe. Things looked a whole lot different from the top of the field podium directing that band on the football field than they did at my mom’s kitchen table. I knew I could do it. I had it all in me. I had a future! There was something in me far greater than I could’ve ever imagined…the floor of Heaven cracked open just a wee but and the blessings rained down. I was somebody! I knew I could achieve things then. I was smart. My self concept was altered for the better. The Happy/Sad broken heart doodle above the Treble Clef signifies all of the teenage love gone sour due to not only situation and circumstance, but because of my undiagnosed condition and how it strongly impacted my relationships with others, especially boys. Just because the greatest crush I ever had rejected me, and the fact that he and other guys my age were attracted to my friends more than me, made me feel incompetent for love. This belief led me down a horrible path of bad decisions in the dating world, horrible suitors, and tragic endings. From that point on, I failed at romantic relationships simply because of how I let people tell me what I deserved, and who I was.I wasn’t complete nor whole. In order to thrive in life and in love, you must first know who you are! I didn’t find myself, til even after I was married. Better late then never, I suppose. The A+ that leads into The Dean’s List Scroll symbolizes my outstanding academics in high school and into college. I was becoming who I was meant to be, knocking down mountains. Into college, career opportunities were lighting up along with my confidence! Being recognized in such a way really boosted my self esteem. This is where I was at an all time high in my world. I believed I was smart, and so did everyone else…I became a true, confident young woman, headed for success. You can see where The Bottle of Lithium below came from! It took a lot of time, a lot of time, trial and error, scary hospitalizations to be monitored and such so that my doctor could find the right combination of meds. to keep me stable, on an even line, so that I could live a normal life. The introduction of these Bipolar medications was another beginning. This was my blessing though! I began to settle down, find a calm that I never knew in all of the storms of my life. Lithium was a savior along with a few other drugs that helped control my Bipolar disorder and bring me back to a state of normalcy! The woman and man kissing a shared heart with the word ‘forever’ inside, are supposed to be me and my husband. Finding my husband was an adventure in itself.. This was a huge change for me. I believed marriage to be a healing. Now I see that I am the healing. The Church on the Bottom Right Corner represents how God never gave up on me, even though I gave up on him at times, and in times of mania, completely let go. However, I was protected through much by The Father and His angels. That’s another post. The prayers of my family and my Church were most definitely heard while I was in the hospital multiple times during the year 2004. Prayer is the most powerful tool that we have as people. These prayers, and the prayersof my own made the difference. I returned to the Lord who protected, healed, and delivered me. Finally, the large Cross in the middle of my illustration represents Jesus, my Savior, my hope, all that He’s done for me. With God as my rock, I made it. He never let go even though I did. I let go of the heart of me. Not anymore. He’s got my back, and lives in my heart forever! In a healthy state of mind, I include Him when making any decisions. I made it back to The Truth. Praise God for delivering me from it all…and for what the future holds! Prescript: I have decided to add a fourth blog post per week. On Thursdays I will post your insights and/or your results from applying life mapping tools. I might also reblog relevant tips or life path affirming stories and ideas. Which situations or events in your life history have been your Turning Points: events of such magnitude that you feel you were a different person before and after each of these events occurred? That is this week’s focus; to identify your monumental moments. Now let me add this piece: if you were to rate each of your Turning Points in terms of its relative positive and/or negative impact on your life (say, -5 to +5), what would that be? For example, moving from Buffalo, New York to Phoenix, Arizona for graduate school when I was 24 was a huge event in my life. I would say its impact was mainly positive (+5), but at the same time it required me to leave my family and friends and all I had grown up with to move to what felt like a very foreign world (-3). This sort of “duality” may be a characteristic feature of Turning Points. Think about one of your own. Would you rate its impact as all positive? All negative? Or both to some degree? Why? Turning Points—as we will explore a bit later here too—are more than page turners in your life. They bring LIFE CHAPTER changes. So, taking some time to identify these can help you to understand your major shifts. Which ones were by your own choice, or not? When I left Buffalo 35 years ago for Arizona, it was such a huge shift apart from everything I had ever known that I troubled over the decision. Every night I would raise an issue about the move in a nightly contemplation, posing questions for inner guidance. And every night I would dream in a way that clearly answered that question. How could I drive my red Buick convertible to Phoenix, for example. Wouldn’t it be too hot? That night I was taken to a rotating hotel restaurant overlooking Phoenix (there really was one at a Ramada Inn, though I hadn’t been there.) I looked down to see almost every car in the parking lot was—you guessed it—red! Do you have a Turning Point sort of shift or a major decision coming up? What can you do to help yourself go through this most effectively, to help yourself advance to realize your greatest potentials? Share your stories if you’d like; I would love to share them. Two weeks ago I invited you to compose a list of your Shaping Moments. These are those significant life events that have “shaped the person you have become.” This week I invite you to reflect on those Shaping events or situations a bit further. Which of these meaningful, impactful events were of such a high magnitude impact that you feel you were “not quite the same person” before and after this pivotal event occurred? These Critical Life Events are your TURNING POINTS. What have yours been? I invite you to focus on your Turning Points this week. Identify them. Share with your loved ones about one or more of them. Write about them. Draw pictures or write poetry representing their dramatic influence on your life. I encourage you to use meditation or prayer or active imagination this week to illuminate and to REFLECT upon your Turning Points; this way you can celebrate all that you have lived through that has brought you to where you are today. What changed for you before and after each of your Turning Points occurred? If you could go back to one or more of these Turning Points again—with your more mature, present awareness, would you change any of them? Or if so, HOW might you wish change the event, leading to what different results? I welcome all of your Comments, your Insights and your Stories! Our Better Endings Life Mapping activity for this week allows you to focus on what sorts of Life Lessons you are learning through the most critical, pivotal events of your life. See if you can list one or more events in your life that have been of such magnitude in terms of their impact on who you have become that you feel you were not quite the same person before and after this or these events occurred. These are your Turning Points. Take some time to reflect on these ‘chapter turner’ events in your life. For each one, what did you learn because this event transpired in your life? Did it have a positive or a negative (or, both?) impact on you, in retrospect? Why? How? If you could go back, would you change anything about this event or situation? If so, what might have gone differently then? One basic way to explore a Turning Point is to write or journal about it, talk about it with someone you trust, and actively contemplate its role or effect on your life. What LIFE LESSON have you learned because of this experience? I welcome any insights you would like to share! Combustibility : a Better Endings principle? I was having some difficulty early this week finding just the right principle of Better Endings to account for how disasters or personal hardships result so often in major Life Changes and Lessons. I awoke then Wednesday night at around 2 AM from a series of dream images: rocket ships! So the first word that came to mind was propulsion; that such heavy impact events propel us forward at great speed; they launch us into another level of awareness or situation or or purpose. Applying that metaphor to what happens within us that allows this launching to occur, I find the word combustibility! A few weeks ago I shared the life metaphor from Will of a golden spiral. Will said the spiral he imagined had “launch pads” along it that would propel him to a higher level of awareness. Again then, we must have the capacity for ‘combustion’ to allow this to occur. Or, are we the astronaut within the combustible rocket? Then we must be willing to be launched! And the ship must have enough fuel to propel us upwards at great speed. Interesting how some natural disasters themselves exhibit combustibility—a wildfire, hurricane or tornado, for instance, all are very highly charged phenomena. Do these impart their intrinsic quality of combustibility upon those that they impact? Perhaps we either combust into an accelerated change in our lives and/or the experience burns us? Heavy impact events in our lives have the capacity to propel us forward, upward, or downward at great speed! Last week (or now if you like) you wrote down and briefly described 12 or so events from your life history that were influential to you in “shaping the person you have become”. Now then, I invite you to read through that list and ask yourself: which of these events or situations has had such a huge impact on your life that you feel you were “not the same person” before and after that event happened? These “Critical Life Events” are your Turning Points. Usually a person might identify 2-6 or so of these. Now then, you may read over this sequence of Turning Point events and reflect about them as being like the highlights of a dramatic script. Please consider that all of your life experience occurring BETWEEN any two of these Turning Point events (including Birth as your 1st marker and Now as your final point) has been a LIFE CHAPTER. As the Author of your own life script, go ahead and create titles for each of your Life Chapters. To illustrate with an example, let’s say you identified 3 Turning Points (before and after you feel you were ‘not quite the same person’). Perhaps when you were 6 years old your parents divorced and you moved away from home with one of your parents; then at 16 you met the love of your life but broke up two months later; and at 23 you moved to Calcutta from Colorado! So you will have identified 4 Life Chapters which you can give meaningful titles to, something like: Innocence (0-6 years old); Growing Up to Reality (6-16); Struggling (16-23); and Finding My Freedom (23-Now). Allow your Life Chapter titles to represent your personally meaningful flow of life experience. After you have identified and named your Life Chapters, you can think of what they represent together as your Life Story! Feel free to arrange these Life Chapters either in this chronological way or in any manner that feels meaningful to you. Welcome to the art of life mapping! 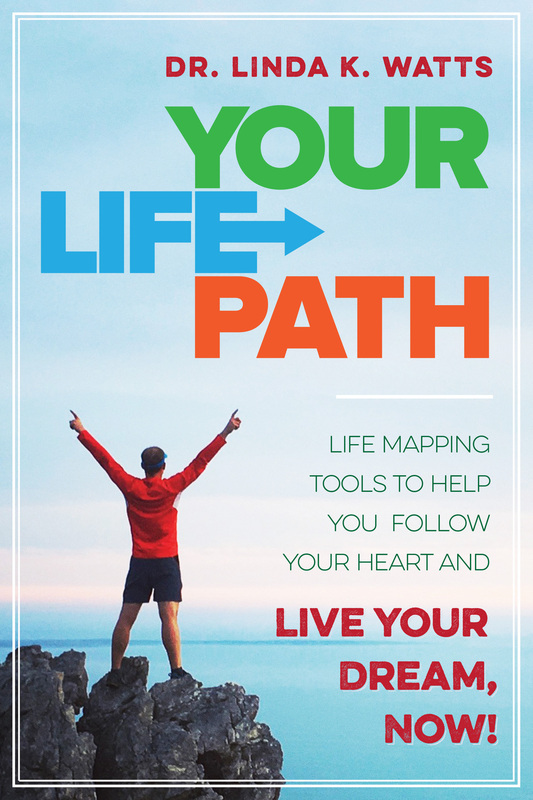 I would love to hear from you about your results in mapping your Life Chapters! Please feel free to Comment and share (if not too private for you) your dramatic sequence of Life Chapter titles. There is still time to write a story, too, this week about Better Choices in your life. Please send that to me by Saturday night to be included in Story of the Week. So have fun, Author! And by the way, what TITLE would you give to the series of Life Chapters that comprise your Life Story? You can write your Life Story Title at the top of your Life Chapters page. Better Endings to You All! A funny thing happened while blogging this week. Guest Blogs are usually published on Thursdays; I posted Rebekah Shardy’s “Better Endings…or Better Character?” yesterday, instead of today. Only last night did I even realize I had varied the schedule. It felt right to post Rebekah’s insights yesterday about how character drives endings in fiction, especially after sharing about my own personal decision to finish college instead of moving to NYC to chase a youthful fantasy. So, here are some common decision points you may have encountered or might yet in the future. Can you imagine–journal about, write a story about, or visualize, talk about or contemplate–a Better Endings scenario? What is your decision, either now or as re-visioned, based on? How does your own inner character inform and motivate your choices? Who to be best friends with in childhood? Which group to sit with at lunch in the school cafeteria? What extracurricular clubs or activities to take part in during high school? whether to go to college or to what form of work? what major to pursue in college? whether to marry your first ‘true love’? whether to pursue a romantic connection with someone you did not pursue or whose advances you declined? whether to take a risk (you fill in which)? whether to follow a whim? where to live when a clear choice presented itself; whether to move/ change jobs/ travel? what to believe in, and how? Please feel free to Comment (Leave a Reply in the box below) with additional prompts for flexing our skills at creative re-visioning. Please also submit your stories; the deadline for the weekly topic stories to be shared is Saturday. And please, I hope you have seen by now that Better Endings is a Safe Space for all. I respect all perspectives and encourage all points of view to be shared as we dialogue and learn from each other. Have fun exploring this weekly topic of Personal Decisions. What might have happened IF/ WHEN/ or COULD if you only IMAGINE? And as always, please FOLLOW to receive daily Better Endings by email, and Share with your Friends!